Born October 26, 1919, Edward Brooke attended Howard University, served in WWII and received his law degree from Boston University. His first attempts to enter Massachusetts politics failed, but in 1966 Brooke became the first African American popularly elected to the U.S. Senate. He served two terms. Journalist Barbara Walters revealed in 2008 that she and Brooke had had an affair for many years. Brooke began practicing law in 1948 and became a successful Boston attorney. Entering politics, he was defeated in attempts to win a seat in the Massachusetts legislature in 1950 and 1952. He also failed in his 1960 bid to become the Massachusetts secretary of state. From 1961 to 1962 he served as chairman of the Boston Finance Commission, seeking evidence of corruption in city politics. In 1962 Brooke, a Republican in an overwhelmingly Democratic state, was elected attorney general of Massachusetts. A vigorous prosecutor of official corruption, he was reelected in 1964 by a large margin, despite the success of Democrats that year (Democratic Pres. Lyndon Johnson captured more than 75 percent of the vote in Massachusetts against Republican Barry Goldwater). In 1966 Brooke ran for a seat in the U.S. Senate and won by nearly half a million votes. That year he also published The Challenge of Change: Crisis in Our Two-Party System, which focused on self-help as a way to address the social issues facing the United States during the 1960s. He established a reputation as a soft-spoken moderate on civil rights and a leader of the progressive wing of his party. In 1972 he was overwhelmingly reelected. In 1978, however, beset by personal problems including accusations of financial misdeeds and a divorce, Brooke lost his bid for a third term. In 2008 journalist Barbara Walters revealed that she and Brooke had engaged in an affair for several years prior to his divorce. After leaving the Senate in 1979, Brooke became chairman of the National Low-Income Housing Coalition and resumed the practice of law. The recipient of numerous honours, he was awarded the Presidential Medal of Freedom in 2004 and the Congressional Gold Medal in 2009. 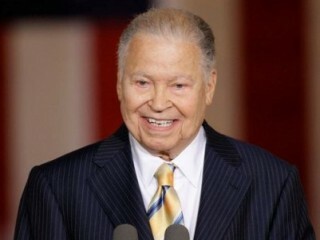 His memoir, Bridging the Divide (2007), explores issues of race and class as viewed from his experiences as an African American Republican politician from a largely Democratic state. View the full website biography of Edward Brooke.